Pretty much what I saw while cycling back from South Queensferry this evening, at 19:45. I had a great cycle over to my brother Eddie’s in South Queensferry this afternoon and spent the afternoon helping him with his DIY ‘snag list’: we fitted a handle to a kitchen unit, fitted part of a corner unit that’s been waiting to be done for months, hung a couple of doors, and watched the lino man (not sure of his name, but we called him Lino Ritchie!) lay vinyl on the kitchen and dining room floors. The cycle back from South Queensferry was a little more adventurous, not having the benefit of having the sun to help my navigation (see photograph above). Still, my journey back home was only 2 minutes longer than my journey in, so that’s not to be sniffed at. This evening was the first time I’ve tested out my bike lights in anything darker than street lights and I have to say that they were a bit rubbish really, but I’m still happy with them. They gave me enough light to make out what was up ahead, and I was fine when there was no other traffic on the dark back roads between Dalmeny and Edinburgh, but as soon as any car approached I was momentarily blinded, and the moment it passed I was plunged into darkness, and with my night vision ruined I really couldn’t see anything! I pedalled on regardless, hoping that I wouldn’t crash into anything: a hedge, a badger, another blinded cyclist. I’ve cycled that route loads of times in the day time. But it was a completely different journey in the darkness: brightly illuminated windows in houses to my left, allowing me to see inside; the loud sound of my crank turning (and gears slipping); the smell of wet leaves. I was very aware that I was dressed in black and had forgotten my reflective safety vest. I felt quite vulnerable. But no hiccups this evening, and I feel great. I really must do this more often. 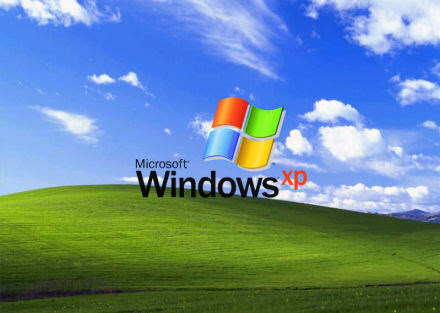 A Windows XP desktop wallpaper image that I found on an XP demo application years ago. I used this as my Windows 98se wallpaper for a while. 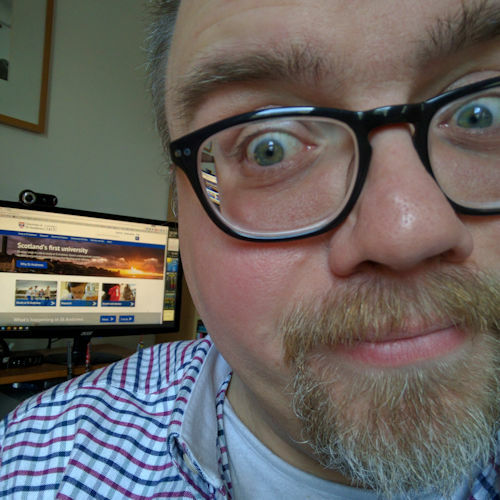 As much as I would like to sit in front of my PC today feeding it CDROMs of data, I’ve decided to postpone reinstalling Windows XP and cycle out to South Queensferry to visit my brother, instead. My decision is partly because I’m keen to keep my decision to cycle at least three times a week, and partly because I’m considering buying a new soundcard. There is no point my reinstalling this week only to discover that I want to do a fresh installation next week (or whenever I get the card). Best to get it right first time, that’s what I say. It also gives me time to read through and plan the installation properly, download the right drivers, read the right manuals and tweak guides. I’ve currently got a Creative Sound Blaster Audigy 2, which has served me well, but is causing me problems when I try to update the drivers to the latest set. It says that I don’t have an Audigy 2 installed on my system! I’m not the only one to have this problem. 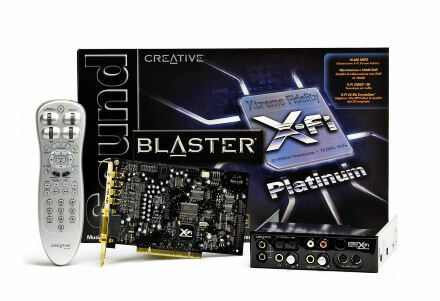 I’d really like to upgrade to the Creative Sound Blaster X-Fi Platinum (below), which contains “the world’s fastest audio processor for ultra-fast gaming, equivalent to a Pentium 4 3.6GHz and 24 times the power of Sound Blaster Audigy”. The new Creative Sound Blaster X-Fi Platinum box, PCI audio card and remote control. I’ve just checked prices online at Overclockers.co.uk (£156.22 inc VAT and P&P) and at our local PC World (£149.99 inc VAT) and they are remarkably close. 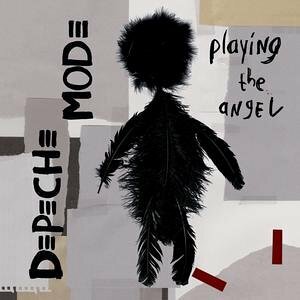 I picked up the new Depeche Mode album, Playing the Angel, in the Tesco Extra music emporium yesterday. I’m listening to it again for the second time, and I have to say that it’s as good as any of the other DM albums I own. It was during a school skiing trip to Aviemore in fifth year (1988?) that I was first turned on to Depeche Mode (typically, because a girl I fancied liked them!). We had a four or five hours minibus trip and someone had brought a stereo and a boxful of tapes (those were the days!). Amongst them was the Singles 1981-1985 album with such classics as Dreaming Of Me, People Are People, Master And Servant and Blasphemous Rumours. I was a metalhead (still am) into the likes of Metallica, Slayer and avant-garde Swiss thrashmeisters Celtic Frost. By rights I shouldn’t like Depeche Mode’s delicate brand of new wave/new romantic synth rock. But I did, and the more I listened to it the more I liked it for what it was, and not just because of some unrequited attraction. The latest album, Playing the Angel, manages to sound like classic Depeche Mode while remaining fresh and contemporary. Most of the songs are slow and ponderous, although the opening track took me somewhat by surprise as I’d cranked my stereo up to 20, hit play and was blasted with what sounds like a bandsaw! It has a great bassline though, that I enjoyed playing along to on my acoustic bass. The lyrics are very interesting though: thoughtful and searching — just the sort of thing that you might like to use during an evening of looking at where God is in modern music! With song titles such as Suffer Well, The Sinner In Me, Precious (which opens with the lines “Precious and fragile things – Need special handling – My God what have we done to you”), Nothing’s Impossible, Damanged People, and The Darkest Star it feels at times like reading the Book of Psalms. Posted on Thursday 3 November 2005 Monday 25 June 2018 Categories MusicTags Music, reviewLeave a comment on Love song or prayer?